Rapper Big Boi (real name: Antwan Patton) was arrested in Miami in August 2011 while getting off of a cruise ship after U.S. Customs and Border Protection agents found Ecstasy and Viagra--which he had no prescription for--on him. 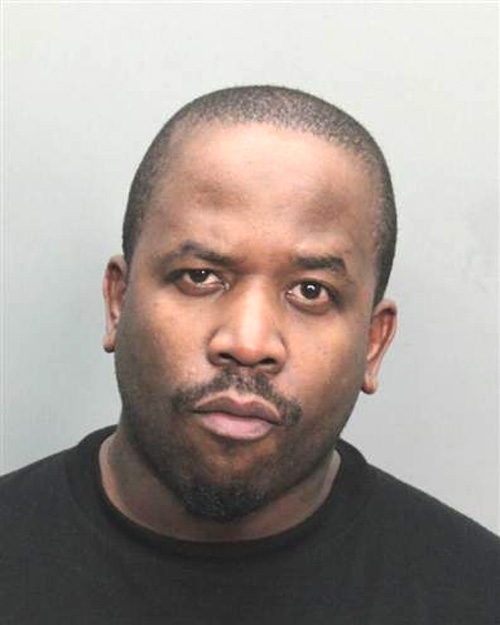 One half of the duo OutKast, Big Boi was booked into the Miami-Dade County jail on three counts of possession of a controlled substance as well as possession of paraphernalia. Joining fellow Grammy winner and partner Andre 3000 in posing for a mug shot, Big Boi, 36 was released from jail after posting $16,000 bond.